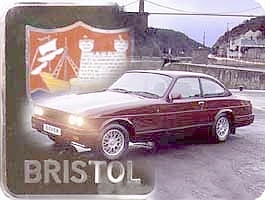 When viewed at its launch in 1994, replacing both types Brigand and Britannia, details of this new derivation of the Type 603 Saloon amply justified the adoption of yet another famous Bristol Aeroplane Company name for this type. 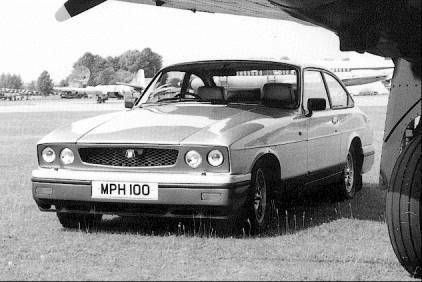 The first Blenheim reverted to a single performance specification. 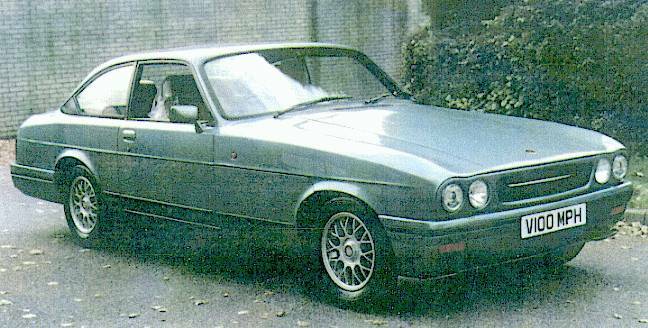 Though initially still plated as a 603S3, later models were numbered as 603S4. The curved lower edge of the grille aperture of the new Blenheim emulates the grille chrome trim used on the early 410 and the 411 s3 lighting treatment is remembered in a return to the use of siamised driving lamps. Blenheim and its namesake side by side and ready for takeoff. Bristol Blenheim pauses for shelter beneath its namesake's wing. The Blenheim takes its leave after another successful Bristol Club Annual Day and Concours d'Élégance in September 1996. 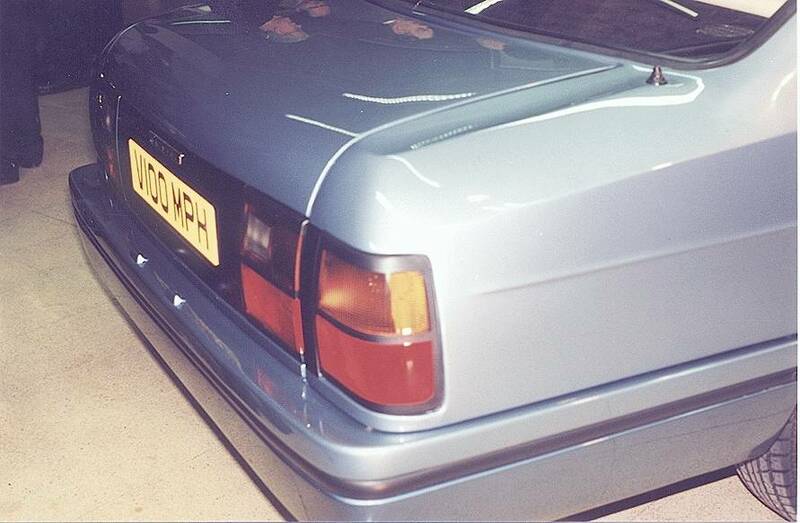 In 1998 another gestation of the Blenheim was introduced to the motoring press with a markedly altered and smoother rear end treatment; it was also announced that it would be available in both standard and high performance state of tune. 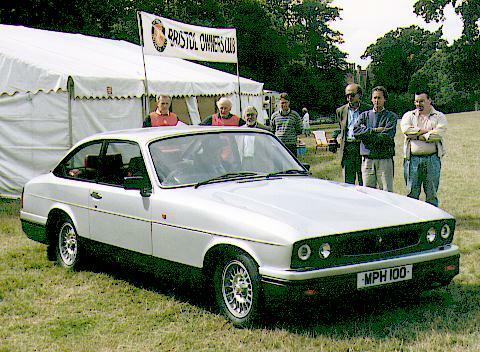 Bristol Cars do not just "build classic cars". 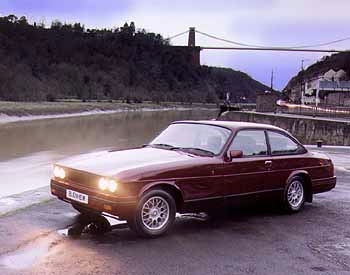 The Blenheim range are modern cars employing all the latest technology. The difference is that they are still hand made and inspected to the highest standard of traditional British excellence and aircraft tradition, and have separate chassis with Aluminium lightweight coachwork. Now part of our heritage: the last remaining flying example of the Bristol Blenheim Bomber of WW2 vintage; and alongside, the Blenheim car. Further developed V8 with 4 Speed Automatic Gearbox which can be used manually, to provide even more increased torque smoothness and improved fuel consumption (around 30mpg at the legal limit). 70mph equals only 1700 rpm! The track width has been increased for even further improved handling. New suspension dampers are now hand built using Formula 1 technology. As is usual Bristol practice, dampers are individually adjustable to compensate for wear and to suit driver's preference. Important chassis features retained: 6.50 inches deep separate safety platform; chassis is welded directly to the massive steel upper structure over which alloy panels are bonded. This aircraft-inspired structure is not only surprisingly light but stiffer in Beam and Torsional stress than most other cars. 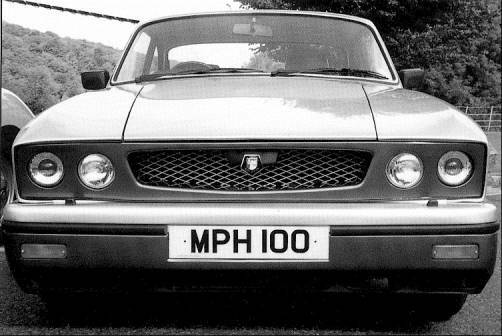 By locating all major masses entirely with the wheelbase, and as low as ground clearance permits, a remarkably low centre of gravity and polar moment of inertia is achieved; both figures in fact being lower than a number of mid engined Sports Cars! Increased use of Aluminum in the structure itself prevents any increase in weight over the outgoing Blenheim 1. Revised front seat frames and substructure to give more headroom and comfort, and enhanced support. 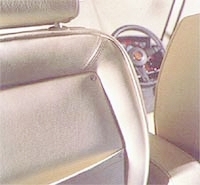 Unique position inside the Cabin for CD player if fitted. Gives increased security, ability to change discs from inside the car, and uncluttered boot space. New 14 inch dished Leather covered Steering Wheel. New, restyled instruments for increased legibility, with soft lighting. Spare Wheel, Battery, Servos and Fuses are still housed in compartments in the Front Wings, features which contribute to good weight distribution, ease of wheel changing, and allow unimpeded use of an uncluttered luggage boot. Closed box section welded steel construction with three cross members, plus stiff floor pans, forming a very robust structure,affording great protective strength. Many Bristol owners have owed their lives to this structure. Few, if any, other cars have any chassis at all. 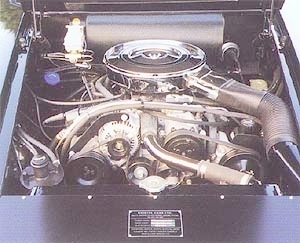 The engine is of eight cylinders in 90 degree V configuration. Capacity is 5900 cc (360 cu. in) Bore 101.6mm (4.00 in). Stroke 90.93mm (3.58ins).Equipped with sequential Multi-Port fuel injection which provides precise air to fuel ratios for all driving conditions.The engine control module is a pre-programmed dual microprocessor digital computer. It regulates ignition timing, air fuel ratio, emission control devices, charging system, speed control, air conditioning compressor clutch engagement and idle speed. The control module can adapt its programming to meet changing operating conditions. Manufactured to Bristol requirements by Chrysler, with whom we have had excellent relations since 1959. Automatic with torque converter, four forward gears and reverse. The fourth gear is controlled by a switch whereby it maybe selected automatically or put out of operation. When de-activated a warning light indicates this. Front: Independent by wishbones of unequal length with coil springs, telescopic dampers, torsional anti-roll bar. Rear: Torsion bar springs with Watts linkage stabilization and telescopic dampers.Front and rear dampers are adjustable. Sealed Ball joints. Bonded rubber sleeves in mounting bushes for noise insulation. Power assisted recirculating ball type, 15.7:1 ratio.Sealed ball-joints. Energy absorbing steering column designed to collapse progressively as a safety measure. 14ins. steering wheel with hand stitched leather covering. Anti-theft steering column lock operated by ignition key. Separate front and rear hydraulic systems operated by tandem master cylinder. Self adjusting servo-assisted Girling disc brakes on all wheels. Failure warning device connected to lamp on instrument panel. Hand Brake has separate calipers operating on rear discs. Warning lamp indicates "Handbrake ON" position and also checks failure of warning circuit function. 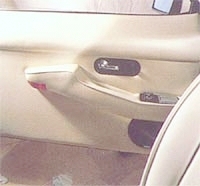 Mechanical parking lock incorporated into transmission is operated by gear lever. 12 volt negative earth system. 71 amp/hr battery. High performance alternator charging system with electronic voltage control. The ignition system is electronic thus reducing maintenance and improving efficiency and reliability. Comprehensive range of instruments includes Speedometer (in mph and kph), Tachometer, Battery Voltmeter, Clock,gauges for Fuel, Water Temperature, and Oil Pressure. Warning lights for Headlamp Beam, Cooling Fans on manual operation, Low Fuel Level, Turn Indicators, Hazards Lights, Handbrake/fluid level, Rearguard Fog Lamps, and Fourth Gear inoperative light. Through flow and ventilating system provides fresh air at variable volume and temperature without necessity of opening windows. Air enters the car at the base of the windscreen and passes through the heater to foot wells or demist slots above Fascia. Ventilation is supplemented by swivel outlets on Fascia and side panels of foot wells. A comprehensive air conditioning system entirely dependent of the heating and ventilation is included in the specification. Tank mounted behind rear seat, protected from impact by strong steel structure. Metal bulkheads separate tank from Boot and car interior. Capacity 18Imp. gallons (82 litres) Low fuel warning light on Fascia. Full four-seater saloon with welded steel structure of great strength, and Aluminium alloy panelling.Two wide doors hinged on front pillars have burst proof locks and a self locking system and are fitted with arm rests, which have red lights built into the end to serve as a warning to oncoming traffic when the door is open, as well as illuminating the access area to the car with white light,ashtrays, window lift switches and electrically operated windows.Individual front seats, adjustable electrically. Seats tip forward to allow easy access to rear. Removable head rests on front seats. Box forming centre armrest fully padded. 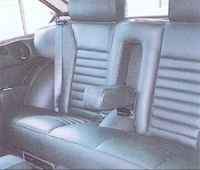 Individual rear seats (with belts) accommodate two persons in comfort and have folding centre armrest, and have individual headrests removable when not required. On each wheel arch is a deep usable cubby hole. Protective padding above and below Fascia panel. 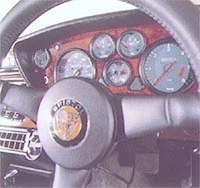 Walnut veneer Fascia panel and instrument panel. Pile carpet with soundproof underlays, lockable glove box, pockets on rear of front seats, full width rear parcel shelf.Courtesy roof lights operated either by the doors or independent switches,four ashtrays, cigarette lighter, windscreen and rear screen in laminated plate glass. Door lights and quarter lights in toughened plate glass. Hinged rear quarter lights. Electrically heated rear screen. Spare wheel housed in unique compartment in left hand front wing. Similar compartment on right hand side houses battery, twin brake servos and fuse panel, giving large luggage boot, unencumbered by having no spare wheel in it and opened electrically.Underside of body undersealed. Inside of body selectively treated with anti-drumming material. Blenheim 2 has four large gas discharge Headlamp units employing latest technology. Twin stainless steel exhaust system fitted with two catalysts complying with all the latest regulations. 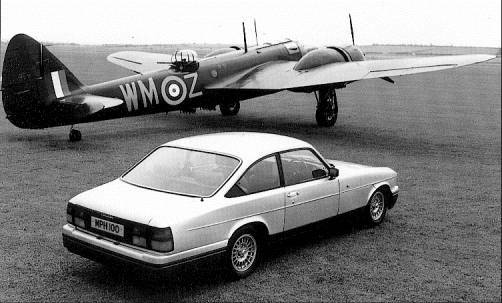 In due course the Blenheim was further extensively modified and in its turn the front was heavily modified. 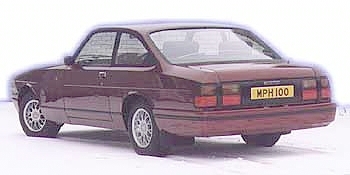 The Blenheim 3 was introduced on 1999-11-10. Like its predecessor, it is available in various states of tune, to customer requirement. The new body blends modern elements with traditional Bristol style to give a sleek, rounded silhouette that will look distinguished in any company. The smooth new shape so confers aerodynamic benefits that will be appreciated on long continental journeys or in poor weather conditions at home. Bristol have always been famous for cossetting and supporting their occupants in a way that is unparalleled. To this end, Blenheim 3 introduces new "armchair" style seats which are tall and deeply contoured to hold you securely and with unrivalled comfort over any distance. Softly wrapping over these exceptional seats is a new soft, silky and flawless leather specially selected and processed in batches for Bristol Cars. Such quality cannot be found in any rival. 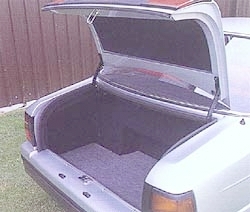 Rear passengers can now enjoy concealed lockable storage compartments with veneered fold-out drinks trays or the "Town Limousine" interior which allows a special slimline front passenger seat to be folded forward when not in use affording effortless entry to the rear seats and almost unlimited leg-room. There is much new for the driving enthusiast to savour. New, clearer instrumentation is matched to improved fascia lighting based on recent scientific research. Optional automatic headlamp illumination and an electronic reversing aid system is available. 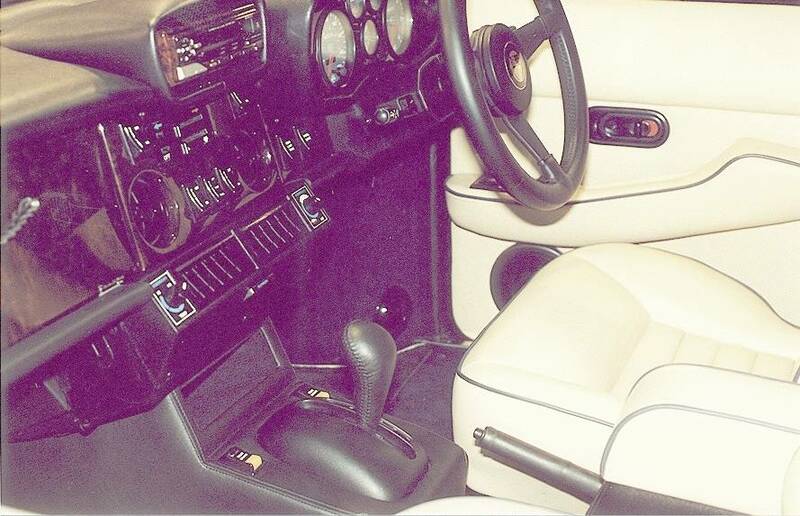 A restyled centre console with short, precise transmission selector communicates with automatic transmission. Under the bonnet the new TS3 series engine confers a considerable uplift to the Blenheim's already brilliant performance. Changes include a higher compression ration, improved new engine management system to ensure that available torque is increased throughout the engine's rev-range giving outstanding performance, engine response and fuel efficiency. Smooth and whisper quiet around town, Blenheim 3 can summon a super car type surge any time the mood takes you. Enhanced high speed control is assured by a more precise steering linkage and a 28% increase in suspension roll stiffness. The latest tyre developments are incorporated as standard while larger wheels and lower profile tyres are available as options for the first time. A special handling package is available as an option for the first time, and is available for those who see high speed driving as their primary intent and this uses a new patented variable rate damper, allowing firm high speed control without spoiling the car's low speed ride. While retaining all Bristol's traditional virtues, Blenheim 3 S sets delightful new standards of performance, luxury and style. The Blenheim 3 G offers another option - to have the vehicle supplied ready converted to run on liquid petroleum gas or LPG, whilst retaining the facility to revert to Petroleum Spirit should the need occour. This can have significant savings to the high milage user, though a certain amount of space is required for the LPG tanks and there is a handling penalty when fully loaded due to the disposition of additional weight when both types of tank are fully charged. 368/370, Kensington High Street, London, W14 8NL. 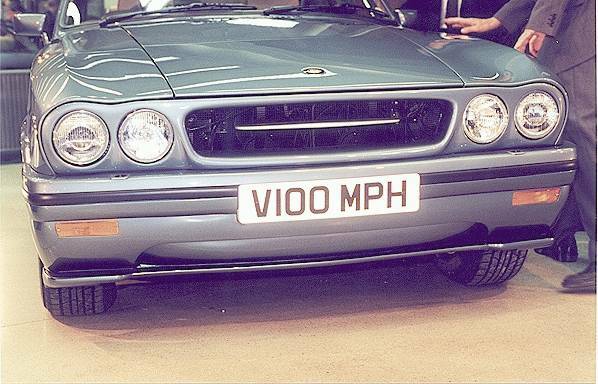 In 1996, the UK Motor Industry celebrated 100 years. 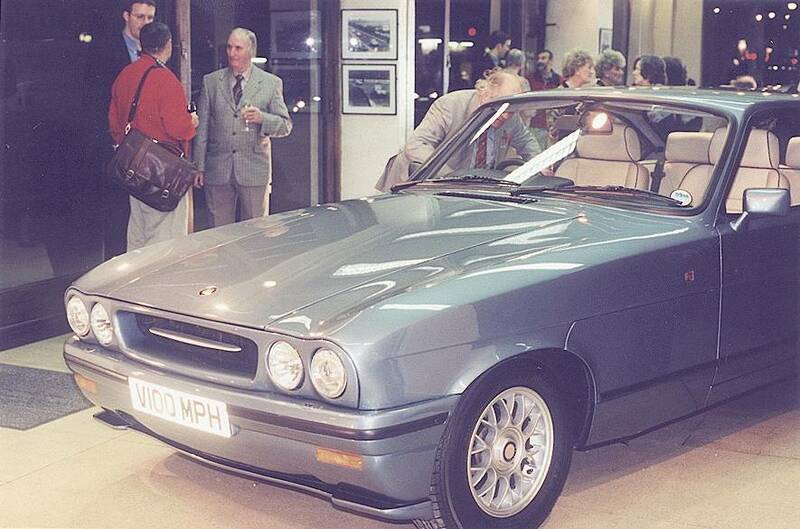 - - - - - - Bristol Cars celebrated 50 years. body remodelled; all panels unique.